Mendocino is a 45 minute drive along a winding road through towering redwoods. 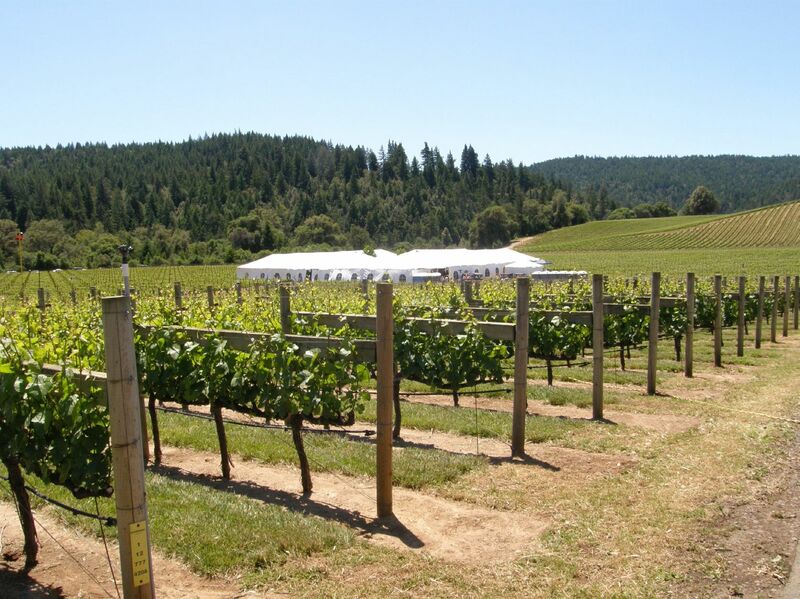 Healdsburg is a 60 minute drive away long a picturesque winding road. Wineries with tasting rooms along Hwy 128 from south to north: Pennyroyal Farm, Foursight Wines, Harmonique, Lichen Estate, Domaine Anderson, Goldeneye, Balo Vineyards, Navarro Vineyards, Lazy Creek Vineyards, Husch Vineyards, Roederer Estate, Handley Cellars, Lula Cellars. Tasting rooms in Philo area: Smith Story Wine Cellars, Bink Wines, and Drew Family Cellars at The Madrones. Nearby, Baxter Winery and Witching Stick. A couple of my favorite Anderson Valley Pinot Noir producers, Black Kite, FEL and Maggy Hawk do not have tasting available in the Anderson Valley. Map available from Anderson Valley Winegrowers Association at www.avwines.com or inquire at info@avwines.com.